JD Designs is a residential building design firm established in 1987. 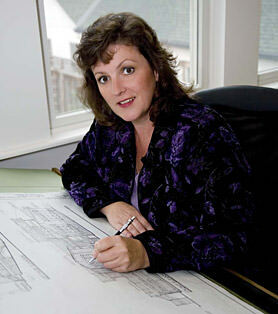 Jennifer Davis, president of JD Designs, has more than 25 years experience in the building design industry. A graduate of San Jose State University with a Bachelor of Science degree in interior design, Jennifer is past president of the California State Society of the American Institute of Building Design (AIBD) and is currently a member of the Colorado State Society of AIBD. Her portfolio includes projects ranging from kitchen remodels to complete custom residences. JD Designs specializes in the design of residential additions, interior remodeling, second story additions and master planning of remodeling an entire house. We also design custom residences. Our full-service designs include construction cost planning and working drawings suitable for planning department approval and building permits. Through partnerships with a few select construction firms, JD Designs can offer our customers a comprehensive level of service - design/build - that includes the full process from initial design development through completion of construction. This team approach to remodeling and new home design and construction ensures continuity, quality and cost effectiveness. The alternative, or "hard bid" approach, where plans are drawn up and then separate bids taken, often results in cost overruns and delays because the designer and contractor work independently. JD Designs has received a number of awards and recognition at various local, state and national design competitions sponsored by national trade organizations and media sources such as Sunset Magazine and California Home and Design.